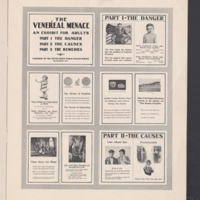 "The Venereal Menace: An Exhibit for Adults"
This brochure shows the PHS version of the "Keeping Fit" poster exhibit for young men. 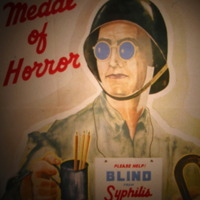 This poster features a blind soldier wearing a sign that reads: "Please Help! 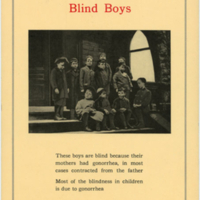 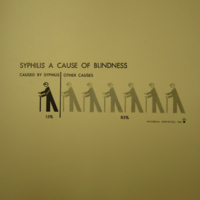 Blind from Syphilis"
"Don't Let This Happen to You"
This poster warns that although half of children with congenital syphilis have vision problems, this can be prevented. 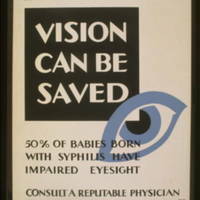 "50% of babies born with syphilis have impaired eyesight : Consult a reputable physician." 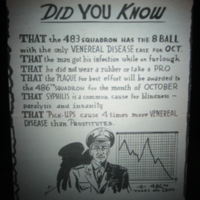 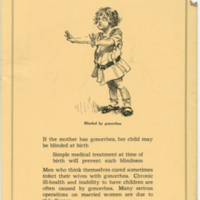 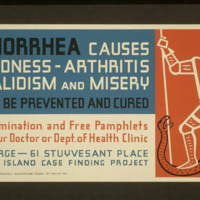 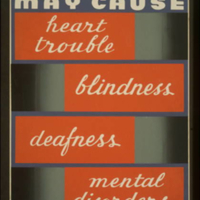 "Gonorrhea Causes Blindness - Arthritis, Invalidism and Misery"
This poster informs the audience that although gonorrhea has serious effects, they can be avoided. 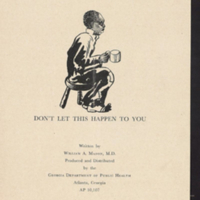 A knight stomps down a snake. 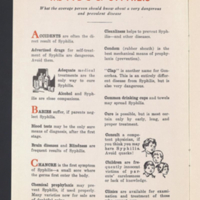 "It can be prevented and cured : For examination and free pamphlets go to your doctor or Dept. 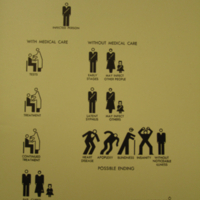 of Health clinic."